Accounting is more than filing taxes and bookkeeping. It’s about understanding a business from the ground up and guiding it through sound financial practice. Every business has a numbers story. Whether it’s in the fields of art, health, fashion, real estate or sports — the options are endless. Explore a career path that can take you virtually anywhere. You could work as a financial analyst, accountant, budget officer, account manager, financial planner, payroll officer or external auditor. There are opportunities in arts and entertainment, news media, marketing, manufacturing, education, health and wellness, service industries and sports organizations. Find the right fit — employers include large and small enterprises, as well as not-for-profit agencies — or start your own business. With third-year studies in Canadian Public Sector Financial Management, advanced diploma graduates are uniquely positioned to take advantage of growing opportunities in the public sector and not-for-profits. Start at Loyalist and put your career on track to become a Chartered Professional Accountant (CPA) with advanced standing towards a university degree. Visit cpaontario.ca. The CPA Canada Advanced Certificate in Accounting and Finance (ACAF) will provide the job-ready skills that employers across the country value within the accounting and finance functions of their businesses. Financial Analyst, Amer Sports Canada Inc. The ability to explain things clearly. A commitment to excellence in your work. Develop managerial skills in budgeting, product costing and price setting, eliminating financial waste and finding operating efficiencies. Access opportunities to gain certification in industry-leading software such as MS Excel, Sage 50 Accounting and QuickBooks. 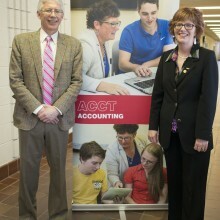 A third year of study provides advanced knowledge of financial and management accounting, corporate taxation and audit techniques, focused on obtaining the ACAF certification. Collaborate and formulate strategy in simulated business competitions. Learn from case studies and guest speakers from the local business community. 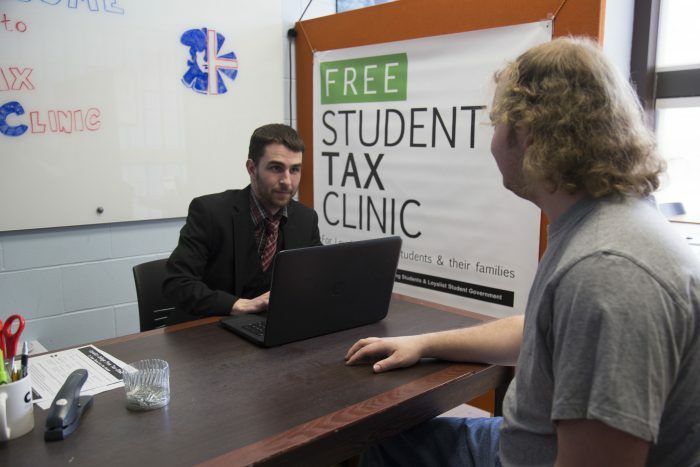 Put your skills to work in Loyalist’s student-run tax clinic. 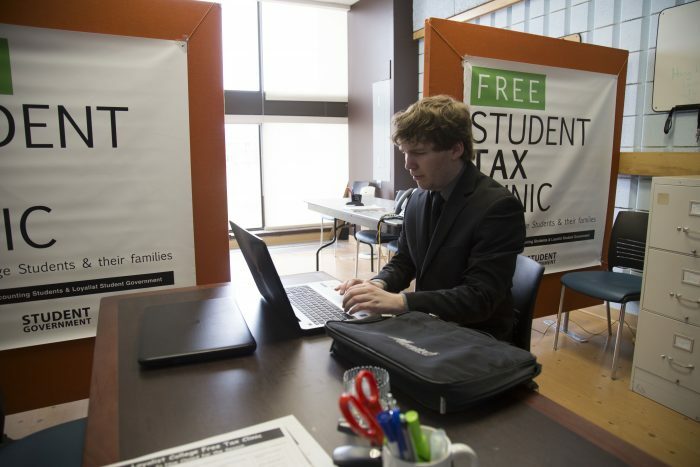 For the 2016 tax year, students completed more than 200 returns — putting more than $245,000 back in the hands of Loyalist students. 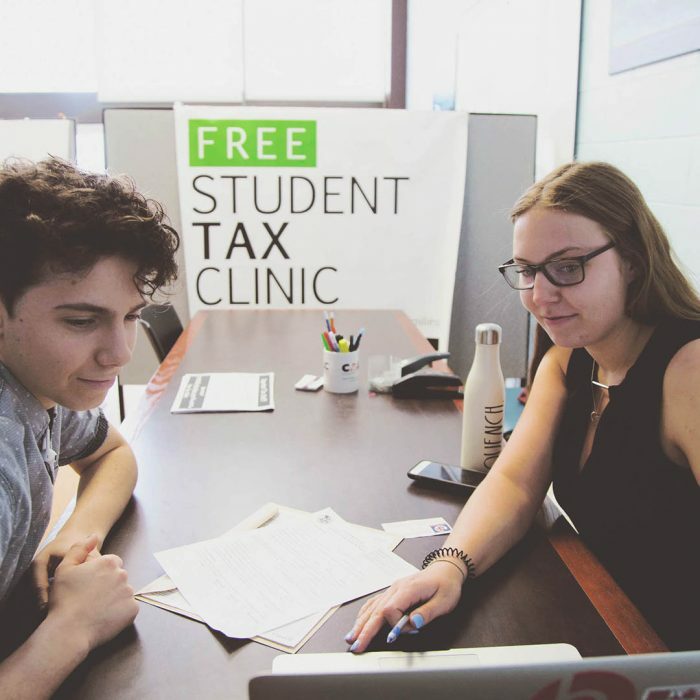 In year three, put your skills to work in our Money Matters clinic and gain customer service experience assisting students with budgeting and financial matters. A four-week field placement in third year provides valuable industry experience and networking, and the opportunity to graduate into a job. Learn with enthusiastic Chartered Professional Accountants who take teaching beyond textbooks and into the real world. Faculty include MBAs and former CFOs with extensive business experience in manufacturing, retail, aviation, transportation, real estate development, corporate acquisitions, business analysis and internal audit. Professors have worked with high-profile accounting firms including KPMG, Wilkinson & Company and Price Waterhouse Coopers, along with experience in the corporate, public and charitable sectors. Organizations of varying sizes and in various sectors can benefit from the use of spreadsheets. As such, individuals who have highly developed spreadsheet skills using tools such as Microsoft Excel will be able to assist these organizations with their functional activities. This course explore skills such as: formatting cells and worksheets; using formulas and functions; analyzing and organizing data; and presenting data visually. Upon successful completion of this course, students will have covered the components and related tasks and skills needed to prepare for the MOS (Microsoft Office Specialist) certification exam for Excel. Learn the essentials of accounting by examining the role of accounting in planning and controlling business operations. Using Generally Accepted Accounting Principles (GAAP), students will be introduced to the basics of accounting including the Statement of Financial Position, the Statement of Operations, books of original entry, the trial balance and the general ledger. The course emphasizes the development of a strong foundation for examining conceptual and procedural elements of the accounting cycle. International Financial Reporting Standards (IFRS) and Accounting Standards for private Enterprises (ASPE) are introduced as resources tools as well as the CICA Handbook. Welcome to marketing! Students learn how businesses reach and influence their customers. This course covers far more than advertising. 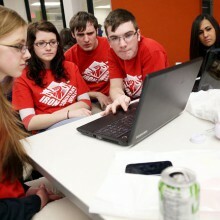 Students discover how to create a marketing plan that can sell. Students are introduced to the business scenario analysis framework – the ACAF Method – which is the problem-solving approach used throughout the applied courses in the Advanced Certificate program. Students will also learn that ethics and communication are central to the credibility of those involved in the financial sector, whether employers, clients or other financial information users. "It is thrifty to prepare for the wants of tomorrow" (Aesop). Use economic fundamentals to interpret today's headlines and discover tomorrow's opportunities. This course will provide the learner with a "micro" view of Supply and Demand and Market Competition leading to a "macro" view of our economy (local, domestic and global) and the Canadian financial system. The Statement of Financial Position (Balance Sheet) and its effects on related items in the Statement of Operations (Income Statement) is the approach which continues from the preceding course. The focus of this course is payroll and other current liabilities, long-term liabilities, partnerships, corporate organization and reporting, cash flow statements and concludes with an analysis of financial statements. This course is a hands-on opportunity to explore and plan for personal financial success. Students will develop the tools necessary to both manage their own finances over their lifetime as well as to help and teach others about the importance of personal financial planning. Topics covered include: money management and household budgeting; credit management; mortgages; home and car insurance; health, disability and life insurance; tax strategy; investing and retirement savings. In this course, students are introduced to statistics. The course teaches quantitative methods used in data analysis and business decision making with a focus on the use and applications of contemporary statistical software. This course introduces information systems and their role in supporting business and accounting strategies. Based on the idea that information and knowledge are key business drivers in today’s data-rich world, students will learn how information is stored and shared; examine the importance of ethics, privacy and security; and explore the role of the internet and e-business. The course also stresses the importance of internal controls and process documentation in creating, sharing and protecting information. Specific topics include: hardware and software of computer systems, file and database organization, networks and mobile technology; the systems development process, enterprise resource planning, project management and enterprise architectures. In this introductory course students will develop the financial skills and logical thought processes necessary to understand and discuss the global financial environment and how it impacts our daily lives. 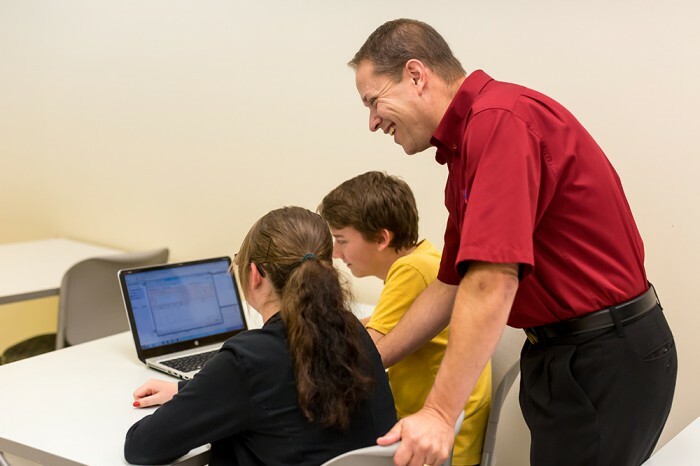 In addition, students will learn to interpret and analyze financial statements using ratios; assess a corporation’s financial leverage and capital structure; evaluate dividend policy; determine working capital requirements; calculate cash and inventory requirements; and develop long-term financing plans. A successful career in professional accounting requires well-developed analytical and critical-thinking skills. Intermediate financial accounting courses focus on standards for external financial reporting and require students to make choices and begin to use professional judgement. This course explores the framework for financial accounting and financial reporting. Students will gain an in-depth understanding of financial statement presentation requirements, including what should be reported and how it should be quantified and disclosed. Revenue and expense recognition including long-term contracts are examined, and we begin an in-depth study of the asset side of the balance sheet, including cash and receivables. This course introduces the concept of cost accounting for business decision making, focusing on the internal users and uses of numerical information. The course explores the terminology and purpose of a variety of management accounting tools including fixed and variable costs, cost-volume-profit relationships, contribution margin, job and process costing and flexible budgets. Students will learn to identify costs based on their behaviour and to accumulate product costs for management use. The behavioural dynamics of the workplace are complex. Technology is impacting the way we work, the way we interact, and the way we manage people. This course examines the factors that influence human behaviour and performance in the workplace, including emotional intelligence, personality, motivation, team behaviour, leadership, organizational change and cultural characteristics. Learn the fundamentals of Sage 50 (Simply Accounting) using a case-based approach. 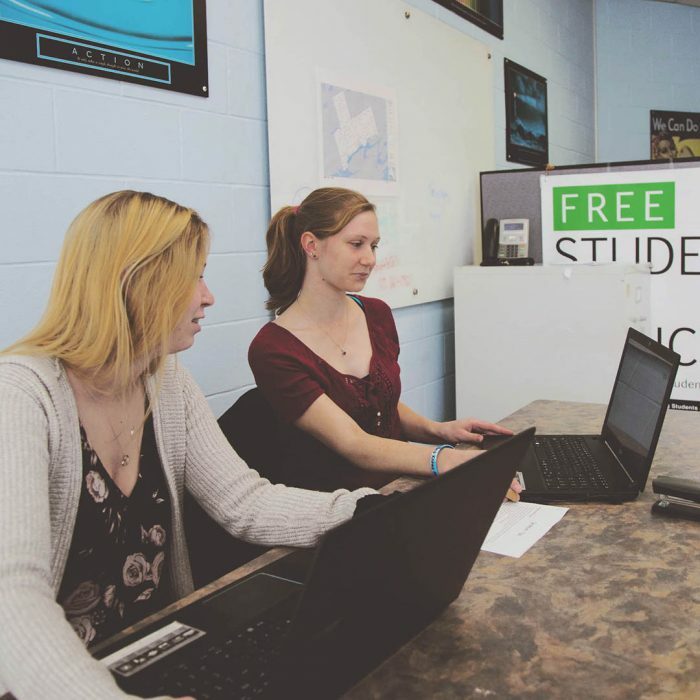 Students are introduced to the general ledger, sales, purchases, inventory and payroll components of Sage 50 Accounting in the creation of a variety of business enterprises and the recording of their daily business transactions. The case studies are used to reinforce accounting concepts in a computerized environment. This course continues to develop critical thinking and professional judgement skills. In this second of three intermediate-level courses, students will complete their study of the asset side of the balance sheet and move on to the liabilities side of the balance sheet. Topics include inventories, investments, property, plant and equipment, intangibles, goodwill, current liabilities, long-term liabilities and leases. This course deals with basic cost accounting systems such as job costing, process costing and standard costing. The focus will be on identifying and classifying costs for profit measurement, planning and control, along with the concept of variance analysis. This course is a first look at the Canadian federal system of income taxation, its history, the principles and concepts, and the administration of the system to assess and collect taxes. Emphasis will be on determining sources of personal incomes to be reported plus available deductions and tax credits used to calculate total income tax as well as net income tax payable. Topics include: The role of cost management, measuring performance, managing costs of constrained resources, measuring costs of operations, activity-based costing systems, joint process costing, managing and allocating support service costs, cost estimation, financial modelling and decision making. This course engages students with its hands-on approach and in-depth coverage of currently utilized, industry recognized project management software systems including Microsoft Office Project. Through the exploration of these systems, students acquire foundational project management knowledge, in the areas of project planning, defining scope, priorities, and work breakdown structure, creating scheduling estimates for timing and project costs, developing project networks and communicating project information, identifying compliance and risk issues, assigning resources, identifying potential efficiencies and tracking progress. This course is a continuation of personal taxation and an introduction to corporate taxation. Other sources of income, other deductions, attribution rules and international taxation will be examined. Basic tax planning concepts will be identified for corporations and their shareholders, plus an introduction to the use of tax software for filing corporate returns. Students will be introduced to the role and practice of the external auditor and his/her reporting functions. Internal control is emphasized along with the auditor’s objectives and techniques as applied to the accounting records. Topics include reporting, auditing standards and ethics, legal liability, evidence and documentation, planning, materiality and risk. 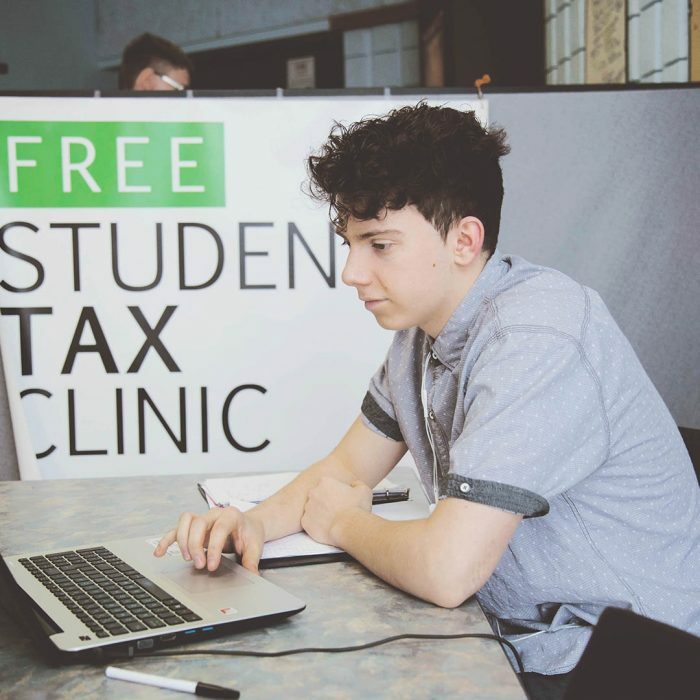 Students will also be exposed to the role of the internal auditor in the business organization along with the audit of computer-based information systems. Management of human resources has become an essential business operation. Organizations everywhere realize that the cost of human capital is a tangible asset that needs to be managed effectively in order to stay competitive. This course explores the challenges and best- practices to ensuring domestic and global human resources assets meet organizational expectations. This course will challenge students’ critical thinking and professional judgement skills with more complex accounting applications. Students will explore the equity section of the balance sheet; earnings per share; complex debt and equity instruments; pensions; accounting for income taxes; accounting for changes; and accounting change and error analysis. Employers are required by law to ensure that workers have a safe work environment. This course examines the related federal and provincial legislation required to ensure compliance. In addition the course explores the technical aspects of health and safety, as well as trends and best practices used in the field today. This course provides a critical view into the purchasing elements of world of Supply Chain Management. Topical focus will relate to supply organizations, quality, supplier relations, sourcing, price and cost management and the role of transportation. The scope of this course will include the private and public business sectors. This course encompassess activities and techniques utilized in supply chain and logistics management including customer service, distribution planning, transportation planning, transportation forecasting, logistics documentation, purchasing and third party chain management. Students, in consultation with their faculty adviser, will complete an approved placement opportunity with a cooperating organization or business. The placement period will be for a period of four weeks or 140 hours, generally commencing at the end of the sixth academic semester of the Advanced Diploma in Accounting program. The student’s performance will be closely monitored by their faculty adviser and their workplace supervisor. A diary of their workplace activities and the workplace application of the content they have learned will be maintained, and assessed by the faculty advisor. 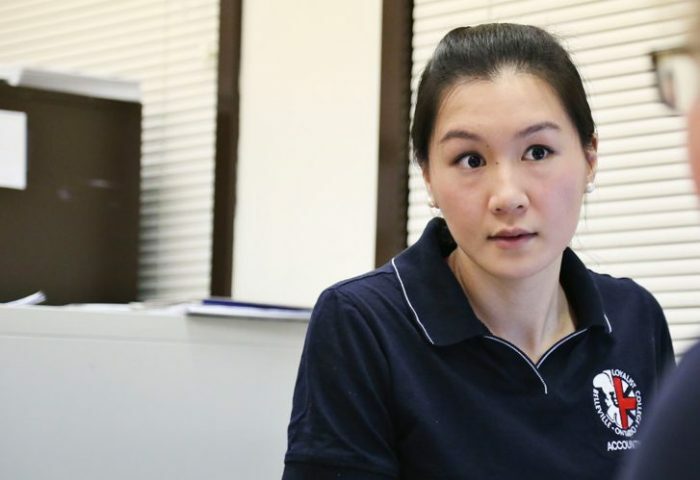 The workplace supervisor will also submit a report of the student’s activities and performance for the month. The placement is intended to give the student a realistic, hands-on work experience in the area of accounting. Advanced Financial Accounting is designed for students interested in pursuing the Advanced Certificate in Accounting and Finance (ACAF) credential. This course will focus on applied knowledge, using business scenarios that require you to demonstrate the application of technical knowledge. Excel is integrated throughout the course. In addition, this course will help you develop other skills such as communication, managing and analyzing information, solving routing problems, and effectively promoting personal management and teamwork. This course covers how not-for-profit organizations (NPOs) are created. Topics covered include the concepts of good governance and internal controls in the NPO environment, differences in accounting between NPOs and for-profit entities, fund accounting and the use of the restricted fund method and the deferral method of accounting for contributions, and the characteristics of registered charities. A brief overview of various types of government organizations will also be included. Loyalist Accounting students can earn both an Accounting diploma and a Bachelor of Commerce degree from UOIT in just four years! 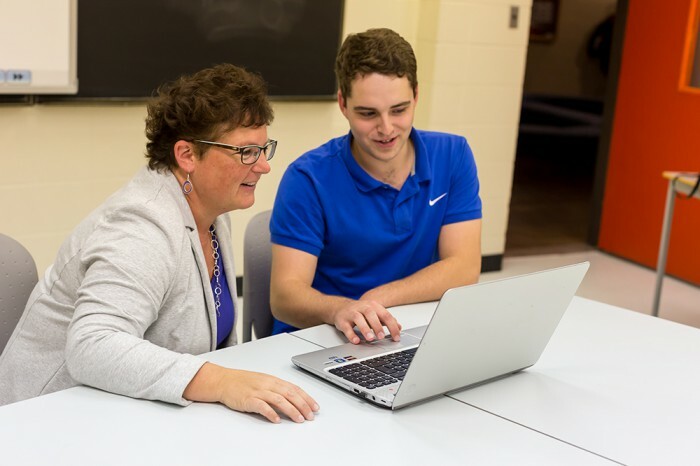 Qualified Accounting students will earn five UOIT Accounting program credits during their two-year diploma studies at Loyalist allowing them direct entry to third-year degree studies in the Faculty of Business and Information Technology. 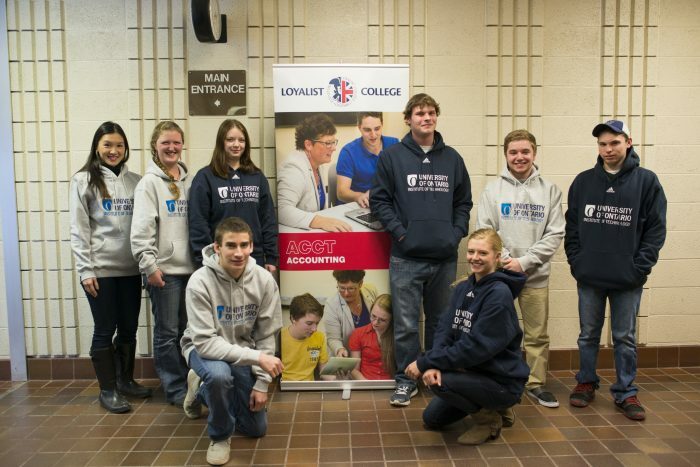 Students apply to the UOIT bridging pathway during their first semester of study at Loyalist. Admission to the UOIT bridging pathway program requires a minimum 75% GPA in Loyalist courses at the end of semester 1. Those students who wish to pursue the Accounting major at UOIT must achieve a minimum 65% in ACCT 1002 - Financial Accounting 2, a minimum 70% in ACCT 2002 - Management Accounting 2 at Loyalist College, and a minimum “C+” in EACH embedded course. Certified General Accountants (CGA) of Ontario has unified with Chartered Professional Accountants (CPA) Ontario and the CGA program of professional studies will end in September 2015. Final unification of the profession in Ontario will come with the introduction of a new Chartered Professional Accountants Act, which CPA Ontario will seek from the Government of Ontario as soon as possible. CGAs became members of CPA Ontario in July 2014. The organizations are now working to integrate operations. Students currently in the CGA program will continue in the CGA program until September 2015, at which time those with academic requirements remaining will have the opportunity to transfer to the CPA program. Click here for more information. The CPA Canada Advanced Certificate in Accounting and Finance (ACAF), scheduled to launch in fall 2015, will provide the job-ready skills that employers across the country value within the accounting and finance functions of their businesses. Click here for more information on the CPA Canada ACAF. Many universities across Canada and abroad will provide credit recognition for your diploma studies at Loyalist. The following is a list of agreements that are currently in place. Contact your university of choice to make individual arrangements. Additional costs, such as travel and parking, may be incurred during placements, and for supply kits, calculators and professional certifications.